What does it mean to major in classics? The study of Classics includes every aspect of the ancient Mediterranean world, with exploration of ancient languages, literatures, history, art, and archaeology. Classics majors gain a complex view of the ancient Mediterranean world and explore their own world as they do so. 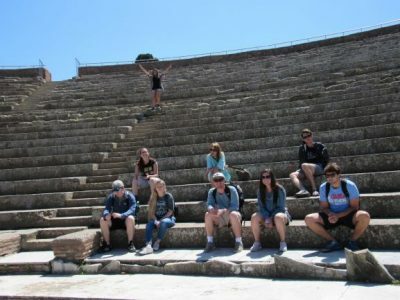 They address questions of human and historical significance through the works of the Greeks and Romans; understand the modern cultural world by recognizing its roots in the past; know their own language better by learning Greek or Latin; explore the world through study abroad; and strengthen their ability to read, communicate, observe, and think analytically. There is a choice of three emphasis areas: Latin, ancient Greek, or classical civilization. The department boasts a vibrant and close-knit community with lots of events throughout the year to keep you involved in classics beyond the classroom. There are opportunities to study in the Mediterranean through archaeological digs, study tours, or whole semesters abroad. Why is the University of Mississippi a good place to study classics? There are six faculty in classics, with areas of specialization in Greek and Roman history and literature, art and architectural sculpture, archaeology, and digital humanities. UM provides two major ways that students can engage directly with the Mediterranean region and its artifacts, to move learning outside of the traditional classroom and digital images. The department provides financial support for study abroad – archaeological digs, study tours, and whole semesters abroad are among the possibilities. There are faculty-led programs during 2 week semesters and summer terms, such as Ancient Graffiti Project in Herculaneum. There are also UM affiliated programs in Greece and Italy, with an advantage to our students in terms of admissions and financial aid because of departmental membership. The Intercollegiate Center for Classical Studies in Rome is an excellent, intense, Classics-centered semester program. The American School for Classical Studies at Athens provides an introduction to Greece from antiquity through the modern period, and there is a competitive Eta Sigma Phi Scholarship to this program. Finally, Sunoikisis is a consortium that offers a field school at Kenchreai, the port of Corinth in Southern Greece. Our students can work hands-on with a world-class collection of Greek and Roman antiquities in the University Museum. The David M. Robinson Collection of Greek and Roman antiquities is one of the finest collections of its kind in the United States. In addition to the extensive collection of Greek vases of all periods, Greek and Roman sculpture, bronzes, terracottas, inscriptions, coins, lamps, and household objects, there are collections of potsherds dating from the Neolithic Age to the Late Roman Empire. In all, there are more than 2,000 objects in the collection and many need further study. Students are encouraged to make use of these collections in their classwork and research. Dr. Brad Cook, Associate Professor of Classics, earned his Ph.D. from the University of Washington, and teaches ancient Greek and Latin and Greek history and culture. His research focuses on the texts and traditions relating to the Athenian politician Demosthenes and to Philip II and Alexander of Macedon. 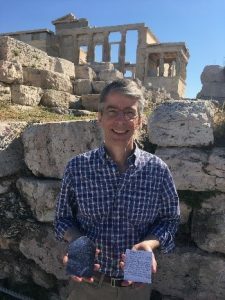 With funding from a National Endowment for the Humanities fellowship, Dr. Cook recently spent a semester at the American School of Classical Studies in Athens, Greece, researching two ancient Greek inscriptions that are part of the Robinson Collection at the UM Museum. The gold inscription recording the treaty made in 202 B.C. between the king of Macedon and a city on the Dardanelles that controlled access in and out of the Black Sea. The bronze inscription records the freeing of a slave woman named Philista in northwestern Greece around the same time. What can UM classics majors do after graduation? A liberal arts education empowers and prepares students to deal with complexity and change through a broad knowledge of the world. They gain key skills in communication, problem-solving, and working with a diverse group of people. Related careers to classics include educator, archivist, cultural affairs officer, travel consultant, foreign service officer, museum curator, immigration officer, doctor, lawyer, & librarian. 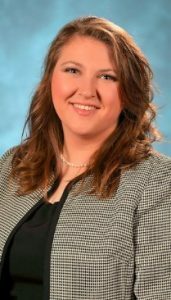 Libby was a member of the Mock Trial team, president of the University Lions Club, and an officer of Eta Sigma Phi Classics Honor Society. She was inducted into Lambda Sigma, Mortar Board, Phi Beta Kappa, and Phi Beta Phi honors societies. She enrolled in the honors class, Ethics in Archaeology, where she studied financial, legal, and political considerations in the collection and preservation of ancient artifacts. Libby was a founding member of the Archaeological Ethics Bowl team and an intern with the Robinson Collection of Greek and Roman Antiquities at the UM Museum. She wrote a Southern Gothic novella for her honors thesis. After graduation Libby worked as an AmeriCorp volunteer in Washington, D.C. She is in a graduate program in Museum Studies at the University of San Francisco, with an ultimate career goal of a curatorial position at a historic house or museum where she could use the space to address contemporary social justice issues. Whom should I contact to learn more about majoring in classics?